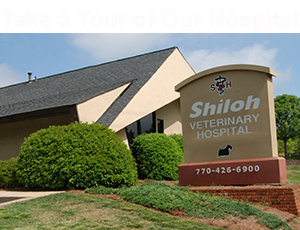 Dr. Baird started working at Shiloh Veterinary Hospital in 2005 after graduation from The University of Georgia College of Veterinary Medicine. She is originally from Columbus, Georgia and received her undergraduate degree from Columbus State University in 2001. While internal medicine is her favorite, she is also interested in and enjoys surgery. She is married to Pat. They have a new addition to their family, their daughter Caroline. They have three four-legged children, two dogs, Frannie and Pearl, and a cat Luke Skywalker. In her spare time, Dr. Baird enjoys cooking, gardening, and walking her dogs!